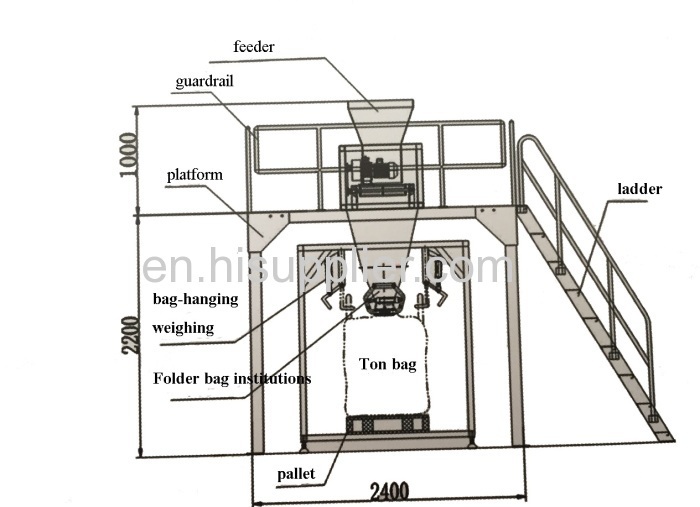 Tonnage bag packing scale is also called jumbo bag weighing packing machine often used for the specialized quantitative packing of solid particles and powder materials with large capacity. 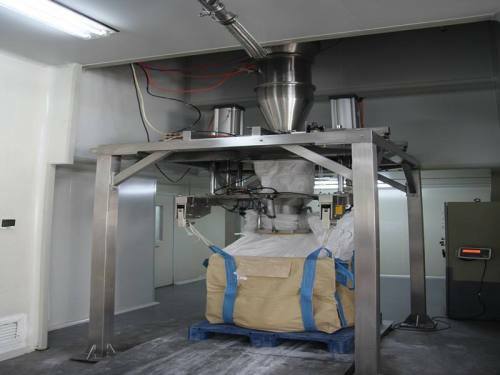 The main components of the scale are: feeding mechanism, weighing mechanism, pneumatic mechanism, bag-clamping mechanism, dust removal mechanism and electric control part. 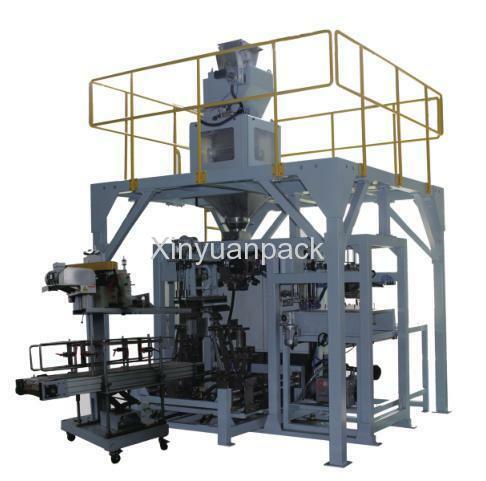 It is the necessary special equipment for international large soft bag packing at present. 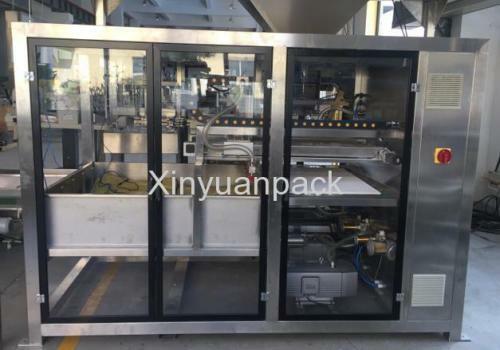 1.Automation:PLC control ,folder bag ,blowing bags ,feeding ,metering filling,exhaust,pocket ,tray ,distribution ,the finished bag delivery are automated, workers only need to hang empty bag and the bag feeding mouth knot. 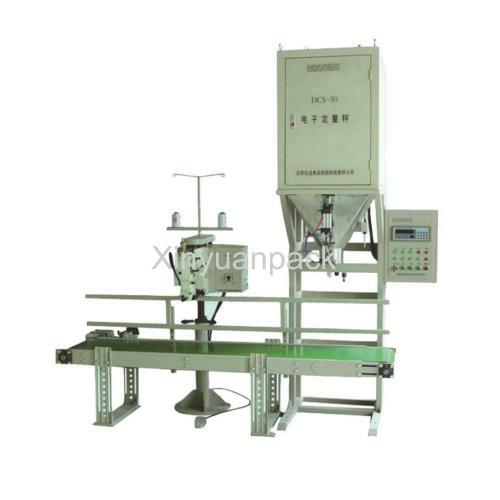 2, the weighing system is electronic suspension type measurement, imported digital weighing instrument, using comprehensive digital adjustment and parameter setting, with weighing cumulative display, automatic peeling, automatic zero adjustment, automatic drop correction, error alarm and fault self-diagnosis function, high sensitivity, strong anti-interference ability. 3, the use of PLC and sequence control, according to the need to configure communication interface, easy to online networking, real-time monitoring network management. 4. Adopt gravity type or size double helix feeding mode to improve working accuracy and speed. 5. 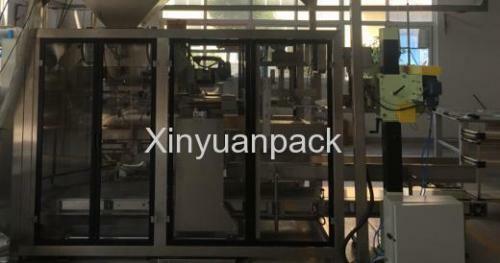 After the packaging is completed, the bag holder and bag-hanging mechanism will be automatically separated without any other operation and can be transported to the next process by free roller table or belt. 6. Advanced dust control and dedusting design can reduce dust pollution in the working environment. 7. It can be equipped with bag shaking function or flexibly adjust the height of bag clamping machine and hook according to requirements. 8. 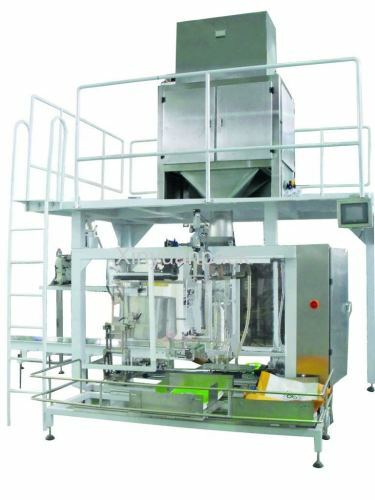 The equipment is more flexible and convenient to be installed on site, which can be adjusted to the local conditions to the maximum extent, arrange the position reasonably, and take special processing and manufacturing according to the requirements of users and the actual situation of the site to meet the requirements of middle use.